When it comes to decorating your home, the task may not be as simple as it appears to be. You are going to face a number of challenges the moment you start planning the decorations. From choosing the right color to the right furniture and accessories to decorating the house, you will have your work cut out for you. They say, don’t experiment. Pick a single style and stick with it for every nook and cranny of the house. Well, they are very wrong. This just sounds boring. When it comes to modern interior design and décor, mixing and matching is the new world order. You are at complete liberty to choose different styles for different corners of the house. Take inspiration from different cultures, play with colors and designs and be casual, formal or both to create an eclectic look for your house. When it comes to metallic tones, people tend to stick to one color most of the time. It is either gold, or silver or platinum. The myth can be busted easily if you go on and take a look around at one of the faucet displays in a home improvement center near your house. You will be amazed to see how beautiful and complementary different metallic tones look with each other. Not only can you play with gold and silver, but brushed nickel goes equally well too. No, No and No! Books can be used in so many ways other than just stacking them in the bookshelf. You can use books to elevate your lamps, the plants or to enhance the bookshelf by placing them alongside decorative items. Instead of just making them stand next to one another, you can play with their symmetry a little. Let some stand and others lay flat, mix and match the colors and covers and so on. No one is stopping you. It might have been true if you were still living in the 20th century but today, asymmetry is the king. There is no need to match the furnishings, colors, angles or making sure that the left side of the room matches the right side. It’s all about being creative, different and unique. No need to put it all in one line. If it helps you get the look you need, feel free to be spontaneous. 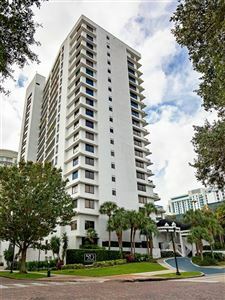 For more information, get in touch with expert Downtown Orlando realtors at Megan Dowdy Realty.